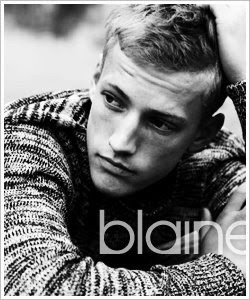 Mr. Blaine Cook is taken over the industry by storm. The Major models star is doing it all. From spokesmodel for Calvin Klein to a ten page spread editorial for Vogue Homme Japan to gracing the runway for the top names in the business. And he's still not done yet. He just recently shoot a campaign for Modern Chimp Homme, which is suppose to drop this fall. The Maryland born star is not looking back. Look out for him during New York Fashion week next month.